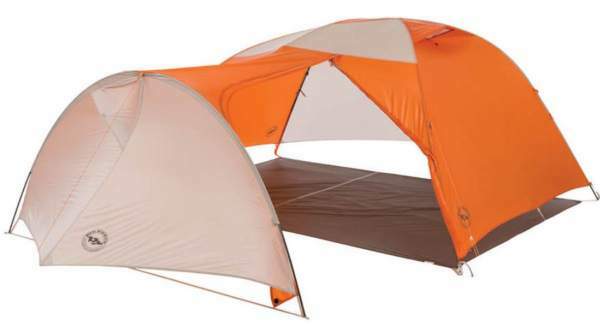 Big Agnes Copper Hotel HV UL3 Tent is an ultra-lightweight and versatile 3-person 3-season tent with a huge porch and a vestibule. With 4 lb 9 oz (2.07 kg) it is light enough even for backpackers. Big Agnes Copper Hotel HV UL3. They describe this as a part of their award-winning Copper Spur series, not sure what the purpose of this is, but the Copper Hotel tents include this 3-person tent and a 2-person tent and both are very different from the Copper Spur tents. They also describe it as a freestanding tent but this is not so. You have a huge porch area here and to have it functional, it must be staked to the ground. The letters HV in the name mean “high volume” and this is because of the construction that includes a hub poles design and an extra brow pole. This adds up to 20% more headroom. The letters UL here mean “ultra-lightweight” and this you can see from the packed weight which is only 4 lb 9 oz (2.07 kg). You will see below that the tent has lots of space for such a weight. Note that the area/weight ratio is 1.83 m²/kg for the inner area, but it is 3 m²/kg for the total protected area, so these are impressive numbers. The tent looks almost like a two-room structure. You have the standard inner sleeping area for 3 people plus a large floorless porch on one side, and you still have a small vestibule on the opposite side. But the main part looks quite ordinary when it is without the fly, see the pictures below. The inner tent with poles and two doors. 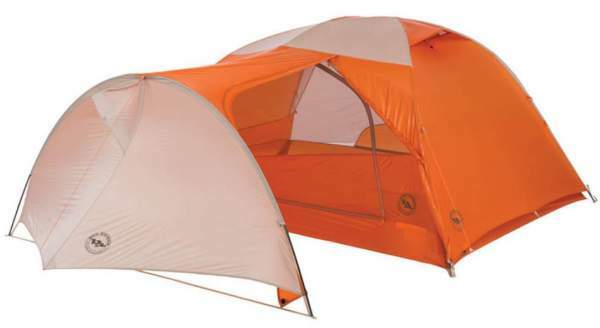 From the picture below you realize that the dimensions of this tent are enormous for such a lightweight tent. Though the inner tent area is not so impressive, you have only 41 ft² (3.8 m²) and this means 13.7 ft² (1.27 m²) per person. But there is a vestibule plus a porch with the protected area of 36 ft² (2.4 m²). So the total protected area becomes 77 ft² (6.2 m²) and this means 25.7 ft² (2.07 m²) per person. The floor area and the dimensions. In fact, the tent is very long and you can have problems of finding a proper spot to set it up. As you realize, you have 152 inches (387 cm) the total length. It appears they have made some mistake in the numbers on the bottom picture above. 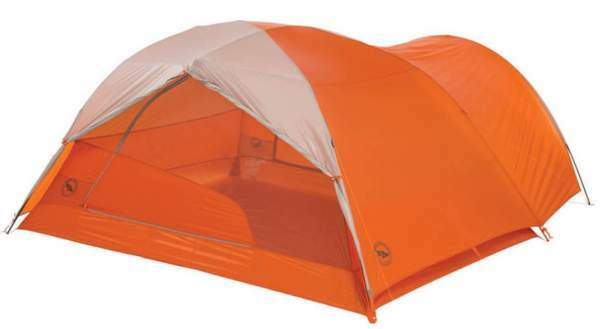 This is a full-coverage fly and the waterproof rating is quite reasonable, so this is a tent for 3-season use. As for the climate, you should not plan to use it in a very cold environment. There is too much mesh around and this cannot keep the warmth. If you want something for such situations, better chose some of those fully enclosed tents without mesh, see for example this Vango Banshee 300 or the Snugpak The Cave 4. By the way, these to have a much bigger waterproof rating, just to know. The tent is definitely in the category of ultralight tools and the packed size is also very impressive, only 21 x 5.5 inches (53 x 14 cm). So if the elements of the tents are shared among the users, it can be carried on the trail even by two people. But the same holds if you want to use it as a camping tool. You can transport it in various ways, including a bicycle. 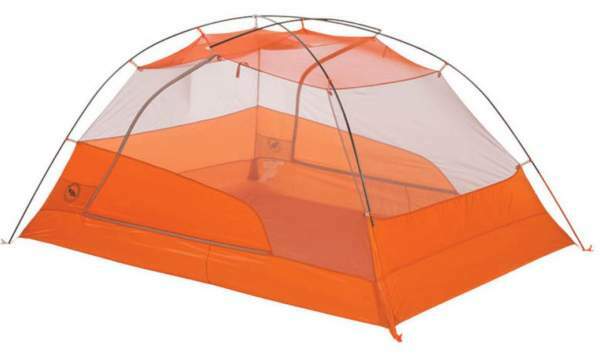 This is a really versatile tent. Note that they give the trail weigh and the packed weight. This terminology is discussed in my separate text. It is not always clear what various manufacturers mean by the trail weigh, while the packed weight is more or less clear. I would suggest focusing on the latter only. When the back vestibule is rolled out you still have a small awning due to the brim pole. Yet another variant with the back vestibule. Here you have DAC Featherlite NFL pole system and it includes 4 poles. Two create the main dome, one short pole crosses them and serves to make the doors vertical, and one extra pole is for the large porch. Note that you have a hub design here. The DAC is the leading manufacturer of tent poles in the world, and the Featherlite NFL are specifically developed for ultralight backpacking use. So what you have here is the best of the best. Both the fly and the floor are silicone treated proprietary patterned random rip-stop nylon with 1200 mm waterproof polyurethane coating. This may not look much but this is quite enough for a 3-season use, and such a PU-silicone combination is among the best ways to make such materials durably waterproof. The unique weave is with a high tenacity yarn and high filament count, and this increases the tear strength by 25% while decreasing the weight. The mech sections are a polyester. All seams are taped with a waterproof and solvent-free polyurethane tape (No PVC or VOC’s). This should work well here, the inner tent is almost all mesh. The fly is with one vent above the main room, equipped with a Velcro stiffener. Yet another vent is on the massive porch. Note that you can also keep the door on the porch at least partly open and have some extra air flow even when it is raining. But there should be no issues with condensation when you have such a large porch even if the door is closed, the air can always circulate from the ground along the perimeter of the porch and under the vestibule on the opposite side. This applies only if you purchase the footprint separately. But in any case, the fast fly weight is the weight of the fly, footprint, poles, and stakes. This is the fast fly variant if you order the footprint as well. Velcro tabs connect fly to the pole structure. Pre-cut guy lines and tensioners are attached to the fly. Reflective guylines and webbing on the corners. 5 very large mesh pockets are available, plus 2 large media pockets. The tent comes with 10 superlight aluminum J stakes. Loops for gear loft are on the ceiling. The design fits the Large Wall, Large Trapezoid and the Triangle gear lofts that can be ordered separately. 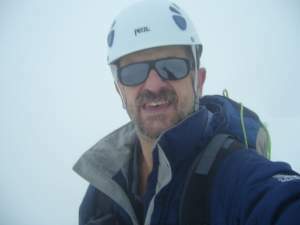 Best use: backpacking, hiking, mountaineering, camping. Trail weight: 4 lb 3 oz (1.9 kg). Packed weight: 4 lb 9 oz (2.07 kg). Fast fly variant weight: 3 lb 7 oz (1.56 kg). Inner floor area: 41 ft² (3.8 m²). Inner area per person: 13.7 ft² (1.27 m²). 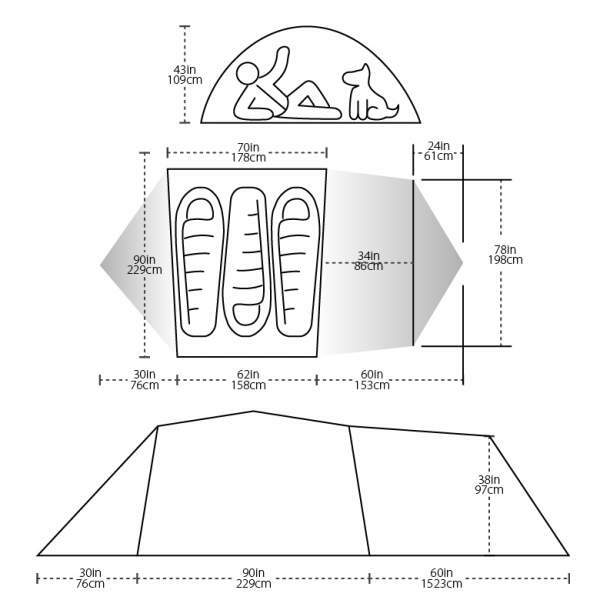 Vestibules (porch) areas: 9 + 27 ft² (0.9 + 2.5 m²). Peak height: 43 in (110 cm). Packed size: 21 x 5.5 in (53 x 14 cm). Footprint weight (sold separately): 8 oz (227 g). You might want to see how this Copper Hotel tent compares with some other 3-person tents from top brands. So here it is side by side with two of them. None of them is a close match to the Copper Hotel regarding the storage areas, please check the links in the table to see more. In the summary of this Big Agnes Copper Hotel HV UL3 Tent review I would stress again that my only true objection to this tent is its price. So if you are on a budget, this may not be the best option for you, but if you can afford it, you will have a top-notch tool on the trail. Only the best materials are used in its construction and this affects the price. 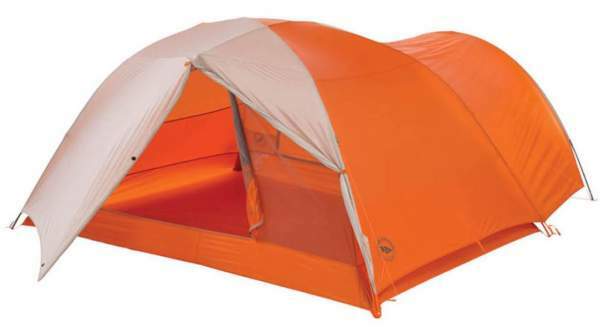 I have included it in my list of the best 3-person backpacking tents. But if you need something more affordable, you have already seen some options in the comparison table below, much more you can find in my page with tents, so please have a look. You might want to compare it with yet another tent from the same brand, the Big Agnes Van Camp SL 3 Tent. If you need something incredibly reliable for camping, check this Vango Mistral 300 with its 5000 mm waterproof rating.